(CBS News) White rice is a dietary staple for more than half the world's population - not just for people living in China, India, and Japan, but for many Americans as well. A new study from the Harvard School of Public Health shows people who eat lots of white rice may significantly raise their risk of developing type 2 diabetes. Harvard researchers analyzed four earlier studies on white rice consumption that involved more than 352,000 people from China, Japan, U.S., and Australia, who did not have diabetes. The researchers found after follow-up periods that ranged from four to 22 years, that almost 13,400 people had type 2 diabetes. People who ate the most rice were more than 1.5 times likely to have diabetes than people who ate the least amount of rice. What's more, for every 5.5 ounce-serving of white rice - a large bowl - a person ate each day, the risk rose 10 percent. "This applies for both Asian and Western cultures, although due to findings suggesting that the more rice eaten the higher the risk, it is thought that Asian countries are at a higher risk," the researchers wrote in the study, published in the March 15 issue of the British Medical Journal. In China people eat an average of four servings of white rice per day while those in Western countries eat fewer than five servings a week, the researchers said. 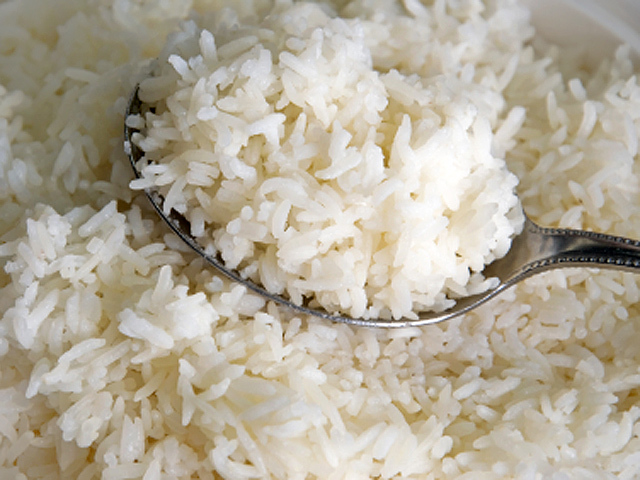 Study author Dr. Qi Sun, a diabetes researcher at Harvard School of Public Health, told WebMD that eating white rice could cause a sudden spike in blood sugar. Because white rice is rapidly converted to sugar, it could mean a person get's hungry sooner than if they ate a low-sugar food like porridge, The Telegraph reported. This effect could lead to people overeating, another risk factor for type 2 diabetes. White rice also doesn't contain as many nutrients as brown rice, which is packed in fiber, magnesium and vitamins. The researchers said not getting enough of these nutrients could contribute to type 2 diabetes risk. People who eat lots of rice aren't the only ones at risk. Sun said starchy carbohydrates such as white bread, white pasta and white potatoes likely have the same effect if eaten enough. What should people do? Sun touts moderation, telling WebMD, "Eating white rice one to two times per week is fine." Other experts, like Dr. Tracy Breen, director of diabetes care for North Shore-LIJ Health System in Great Neck, N.Y, downplayed the study, saying other factors might raise a person's diabetes risk more than white rice. "It is never just one thing," Breen told WebMD. "It's what you eat, what you do, and your genes. We can't change our genes, so it's important to think about how food plays into our culture." Diabetes isn't the only risk associated with rice. Last year a study found rice may contain dangerous levels of the chemical arsenic, which can cause cancer in extremely high doses, CBS Newsreported.